Oh boy, have the rumors been flowing tonight…where to even start? How ’bout I just dive right in. Jed Lowrie from the Astros coming to LA for Dodgers #1 prospect Zach Lee, and #6 prospect Garrett Gould. When I heard this, I just about died of a heart attack. I thought, ‘No way…not even for Ned. There is NO way that anyone would ever think this is a good idea. Right?’ As I was fumbling for answers, brainstorming for reasons as to why this would ever be even remotely considered…updates were made. Apparently there was confusion among sources. 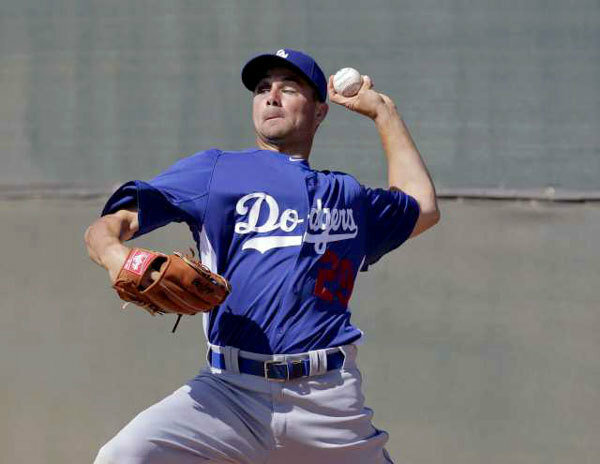 When the name “Lee” was mentioned, it was assumed that it was the Dodgers’ prospect Zach Lee. That wasn’t the case. It was in fact, Carlos Lee, the Astros’ 1B, and Zach Lee was never mentioned in trade talks. This gave me a huge sigh of relief. Then the official update (which has stood all the way up until this point) was Carlos Lee to LA for Dodgers Prospect Garrett Gould. The confusion with people involved was also surrounding Lowrie. Lowrie is a shortstop for the Cubs as of right now. If he came to the Dodgers, he would have been used at third, a position that he isn’t comfortable with. Dodgers are not and will not give up on Dee Gordon for quite some time. I’m ok with this Carlos Lee-Garrett Gould trade, and I’m also not. I’ll explain. I’m ok with it, because Garrett Gould has been wildly mediocre in the minors for us. He does show a lot of promise, I’ll give him that, but his numbers are subpar. For the Rancho Cucamonga Quakes (Single A), Garrett has gone 1-6 with a 5.12 ERA. He is a much less risk to give away than Zach Lee is, who is a former first round pick, and just promoted to AA Chattanooga yesterday. With that being said, Garrett is still a very big asset for the Dodgers. The reason I’m not ok with this trade, is because of the impact (or lack there of) that Carlos Lee would have for us. I don’t believe in giving away potential assets for the Dodgers for old, mediocre, short-term talent that isn’t a large upgrade in the first place. We need power at first and third base. No one is disputing that. James Loney isn’t getting the job done. No one is disputing that either. Carlos Lee was a power hitter. Was. This year, he has only hit five homeruns (compared to Loney’s two) and all of those have been at home, in Minute Maid Park. Don’t even get me started on his defense. We all know what Loney can do at the bag, and to put it mildly, we’d be losing a ton on defense with Lee. Another interesting note in all this…was that Garrett Gould was scratched from his start tonight with the Quakes an hour before game time. Could this trade happen sooner than everyone thinks? I am finding it hard to find another reason that would point to why he would get scratched at all. More updates on this as they come in. Ryan Dempster is also a name that has been thrown around tonight as well. 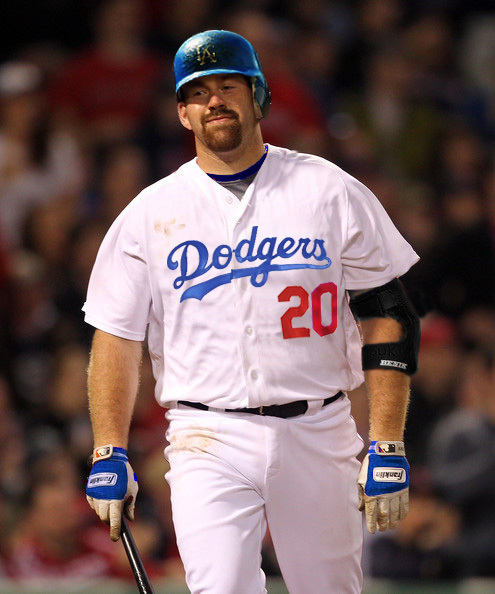 Dodgers sources have said that they are very interested in acquiring Ryan Dempster. While the sides haven’t talked since the week before Dempster went on the disabled list, a person familiar with the situation suggested the Dodgers have a very good chance to land the veteran right-hander and are the odds-on favorite to land him once he comes off the DL. The Dodgers’ pitching has been very strong and were getting wins when the offense was performing. However, you can’t win games without the support of your offense, no matter how good you are. Ryan Dempster would be a great fit in the Dodgers rotation, but I strongly believe they need to focus on offense first and foremost. With that being said, I wouldn’t mind seeing him in Dodger blue at all. Edwin Encarnacion: I was asked on Facebook to hit on Encarnacion so I will, as much as I can. It’s hard to talk about players from other teams, because teams won’t give out (nor do they even know) who will be available come the trade deadline. When it comes to Dodgers sources, I have a bit more of an in and know who we’d be willing to trade, but as far as other teams go, it’s hard to say. All I have gotten from anybody is that if the Blue Jays are out of it near the deadline (currently 7.5 games out of 1st) they will be willing to deal. Now the tricky part is…who are they willing to deal out? I’ll bring you into a bit of the chaos that surrounds the Blue Jays situation. This is a summary of what I found among top CBS and Fox Sports writers. Buckle Up. The Blue Jays are giving “little indication” that they intend to trade potential free agents Edwin Encarnacion and Kelly Johnson, Rosenthal and Morosi write. Scouts are saying they’ve been told Encarnacion IS available for the “right” pitcher, Stark reports. Yet one person told Stark Encarnacion is “not available, as far as I know.” Jon Heyman of CBS Sports.com wrote earlier today that the Blue Jays would have multiple suitors if they make Encarnacion available. Confused? Yeah so am I. Long story short, we will know a lot more after the July 2nd International signing deadline, when GM’s and team’s can start focusing more on their big league teams. More on that in my Stan Kasten interview. Stan does a great job describing what goes through a team’s head around this time of year. As far as Encarnacion goes, I would LOVE to have him on the team and think that he would be the influential power bat that we so desperately need. If there are any more players that you are curious about, or would like an update on, please feel free to contact Dodger’s Insider on Facebook or on Twitter and ask away. I am more than happy to do my best and give you the most up-to-date information there is available. Due to the length of this post, I am going to write about Stan Kasten and what he has to say about the direction of the Dodgers in my next post (which I will finish tonight). It’s a great article, that will honestly get you excited about where things are going. Talking to Stan and hearing him talk gets me extremely pumped up and I’m 100% on board with what he’s doing. Hopefully, after this article, you will all feel the same as I do. Dylan Hernandez of the LA Times also tweeted (while I was writing this post actually) that the Dodgers first round pick (18th overall) Corey Seager, also signed tonight for $2.35 Million. More details on that later. Reports are saying that Kevin Youkilis is leaving Boston by this weekend. Question is — Where is he going? For those of you that have read anything I’ve posted before, you would know that I never liked this Youkilis trade. However, in the past 24 hours, my tune has 100% changed. I’ll tell you why. Now Dodgers sources are saying something a little bit different than before. They are saying that they would use Youkilis to replace Uribe at third, rather than Loney at first. Now this I love. I never thought Loney was our number one problem. He is a problem, for sure, don’t get me wrong, but not our number one problem. I think Youkilis would give a slightly bigger threat in the middle of the lineup than Uribe would anywhere. Last night was fantastic. It gave me hope of a Uribe-less future. Adam Kennedy may have only gone 0-2 with a walk, but not seeing that haggard swing that tries to blow the guts out of every ball he sees in the lineup was so refreshing. If we want to improve this team – Uribe HAS to go. No questions asked. If you remember back in 2008, Manny’s numbers were no where near where they were compared to his career. It’s because he was practically doing it on purpose to make a point that he was unhappy in Boston. Now I’m not saying this is a case of “Youk being Youk” but it could very well be a morale problem that has his numbers down. Bobby Valentine has recently sat down and told him that his playing time is getting cut because of how well Middlebrooks is playing at third. So Youkilis definitely wants to move, and he definitely wants no part of the Red Sox anymore. So could his numbers improve with a better morale? Absolutely. And who better to help that than Donnie who is an absolute player-friendly manager. Like I said before, Youkilis is not the only answer to our offensive problems. But he does help. If by some off chance that you still aren’t convinced that Uribe is a detriment to the team…let me help. Back in 2010, when Uribe was signed on, Ned Colletti said this about Uribe. “He will provide more power, he has thunder in his bat.” Funny part about that is…he has no thunder in his bat. In fact, there isn’t even a storm brewing. This year he has one homerun. One. That was hit May 11th, at Coors Field. For those of you that don’t know, baseballsfly out of that stadium. Point in case…Dee Gordon also has one homerun this year…at Coors Field. See where I’m going with this? When Ned wants to give an argument about how Dee has thunder in his bat, I’ll be all ears, but until then, my argument stands. In June, Uribe is hitting a horrendous .179 with two RBI’s, eight strikeouts and no walks. That means every 3.5 at-bats that he gets, is a strikeout. On the year, Uribe is hitting a line of .231/.278/.324. I wanted to bring up that statistic wOBA. This stands for weighted on-base average. It’s a great stat that tells you in a little bit more precision exactly how much someone gets on base. The league average this year is .309. Just for a bit broader understanding of where a player should be, last years average was .316. So anywhere around there is average. Youkilis’ wOBA for this year is .306. Just 3 points below the leagues average. Uribe’s is .283 — 26 points below. I did the math for our potential lineup before (without Youkilis) and after (with Youkilis). Keep in mind the lineup will change drastically after the trade deadline with the arrival of Kemp and Ellis from the DL. Our team’s wOBA goes from .309 (not bad, considering league average) and shoots up to .333 with Kemp, Ellis and Youkilis. Only three teams have wOBA’s better than that. I like this trade, I think it would be a great addition, however I still think we need to add another big bat in July. We’ll see what happens. But sources are saying that talks are getting very intense with regards to Youkilis and this deal could happen anytime from as early as today, to at least the end of this weekend. So be looking out for more updates on this. For those of you that are wondering what we’ll have to pay — not much. Boston will most likely be eating most of, if not all of, the remaining $12 Million on his contract, and the $1 Million buyout. However, with that being said, Boston is paying more of the contract in order to get a better prospect. 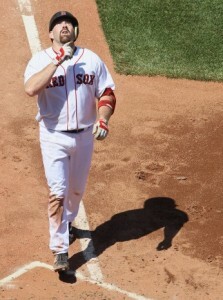 Who that is will probably determine which team Youk goes to. As of right now, the top two teams are the Dodgers and the White Sox. Check back to see if any updates have occurred.